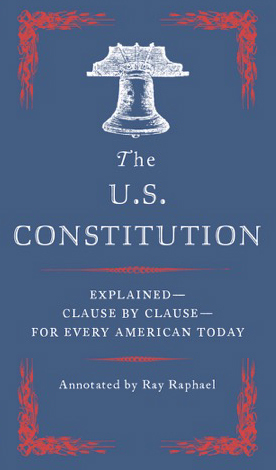 Commissioned by Vintage Books, a division of Knopf-Doubleday, this new annotation of the Constitution is the ultimate fact-checking source for our troubled times. Americans have agreed to abide by rules developed in a very different age. What did the Constitution mean in the founding era, and what does it mean for us now? Thoughtful and nuanced, lively and highly readable, this annotation interweaves historical and modern-day contexts. By studying the document’s origins and evolution through the centuries, readers can more accurately appraise current interpretations.